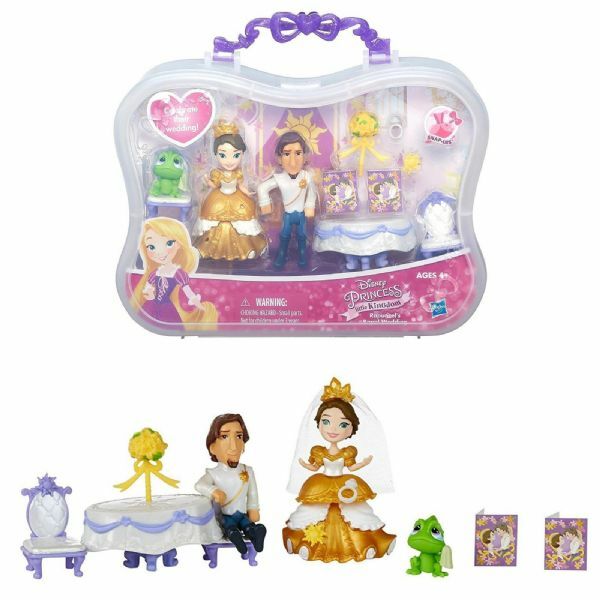 Disney Princess Little Kingdom Rapunzel's Royal Wedding Set comes with all you need for a royal wedding. 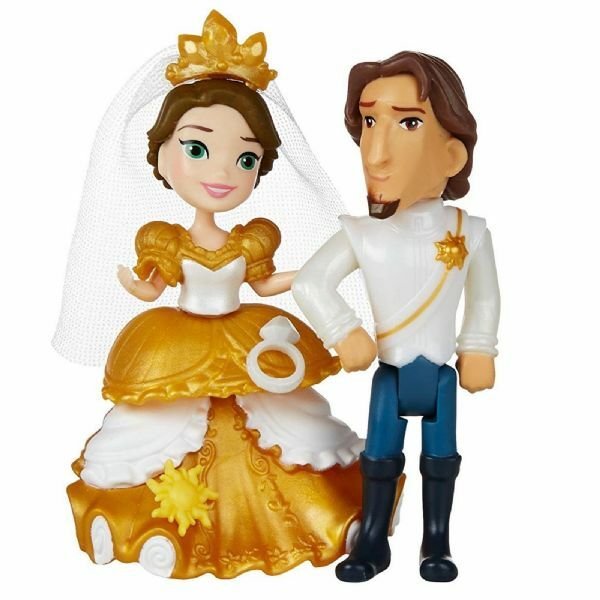 Help Rapunzel and Flynn Rider celebrate on their wedding day! 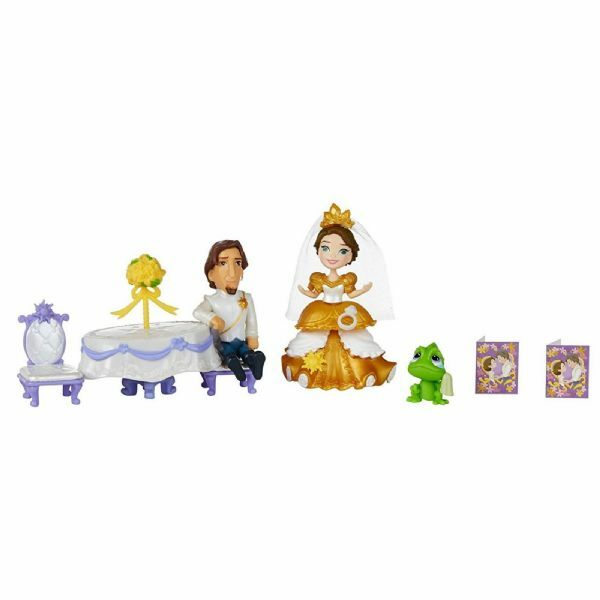 Rapunzel's Royal Wedding features the beautiful doll in her wedding gown, Flynn, a table, 2 chairs, and Snap-ins. 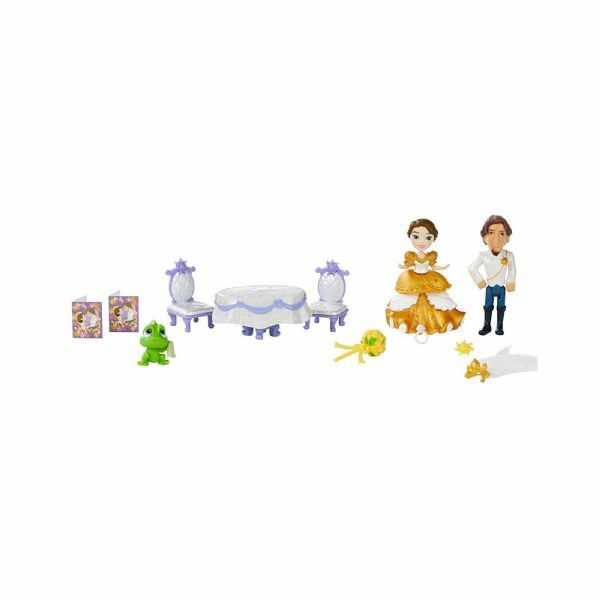 This set is packed in a plastic carrying case for easy storage or play-and-go fun, and comes with everything a princess needs for a romantic wedding reception. Figures can sit or stand. Storage case for easy storage and play-and-go fun.